A short ride south of Bridgeport, Green Creek feels a lot farther off the beaten path than it is. 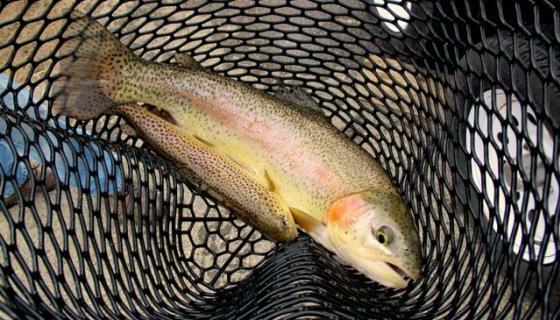 The small stream offers solid hiking and fishing, especially for fly fishers looking for a challenge. The creek is lined with large Jeffrey pines and aspens and is followed much of the way by the unpaved Green Creek Road. Popular with anglers, hikers, campers and horseback riders, Green Creek is also a favorite spot for those in search of summer wildflowers. Green Creek is home to a primitive campground at the trailhead to the Hoover Wilderness. The three miles of the trail above Dynamo Pond includes the California Department of Fish and Game’s Green Creek Wildlife Area. The 720 protected acres includes great habitat for mule deer migration and fawning. 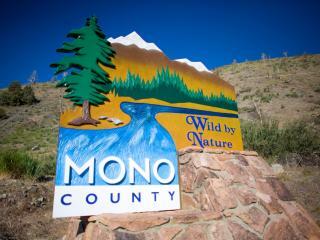 It’s also home to black bear, beaver, bald eagle, grouse, mountain quail and various waterfowl. 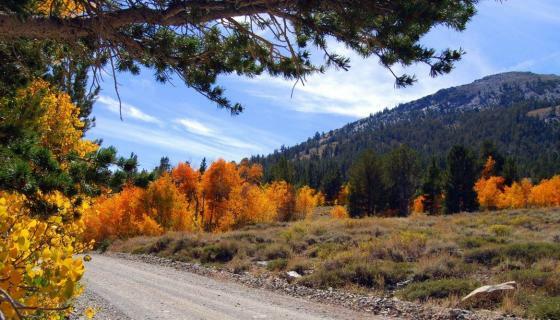 The trail leads on to Green Lake and East Lake for terrific backcountry fishing and stunning views of the High Sierra. Directions: Six miles south of Bridgeport off Highway 395 turn west on to Green Creek Road. There are various access points along the road and a campground at the 10-mile mark. The Green Creek Campground is known for providing nice shade during the heat of the summer months and for being a good launch-off point for further adventures into the Sierra backcountry. At 7,500’, the small primitive campground does not offer power, but does include group sites and a day use area. Picnic tables, fire rings, bear boxes, vault toilets, potable water and garbage removal are provided. Green Creek Campground and its sites are dirt and usually open from late May through September. Call 1.877.444.6777 or visit www.recreation.gov to reserve a campsite. Directions: Six miles south of Bridgeport off Highway 395 turn west on to Green Creek Road. The campground is 10 miles up the road. Often overlooked because of the generally smaller size of its fish, Green Creek is home to very healthy populations of brown and brook trout and gets stocked with thousands of rainbows each season as well. The small stream requires a bit of stealth by anglers, but there is a lot of great holding water providing plenty of action and challenge for fishers of all levels. Dynamo Pond, a small roadside pond fed by the creek, can also be very productive. Green Creek generally doesn’t get the crowds other, more popular fisheries do, so it can be a nice place to get away.